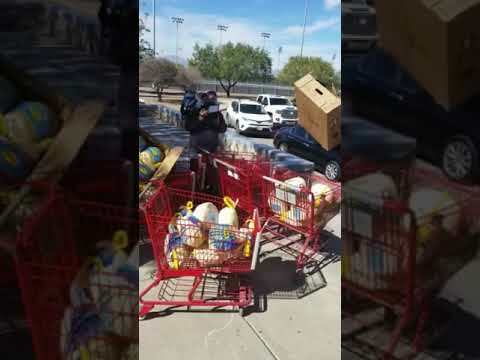 Thank you Channel 4, Sandra Diaz, Michael Gopin, and the "Pay-it-Forward" campaign for your generous donation of Turkeys to help Hanks feed 500 needy families! Thank you Monica Lopez, Interact Sponsor, and Interact members for your selfless, giving, and loving hearts as you ensure needy families have a Thanksgiving meal. Hanks is thanksful and proud of your hard work!